STEM education is important because our world depends on it; the economy, our general well-being and our survival are all backed by science, technology, engineering, and math. Thus, when we refer to STEM, it’s not just coding and lab coats. It’s the underpinning of manufacturing, food production, health care, and so much more that frankly, we might take for granted, but surely can’t live without. 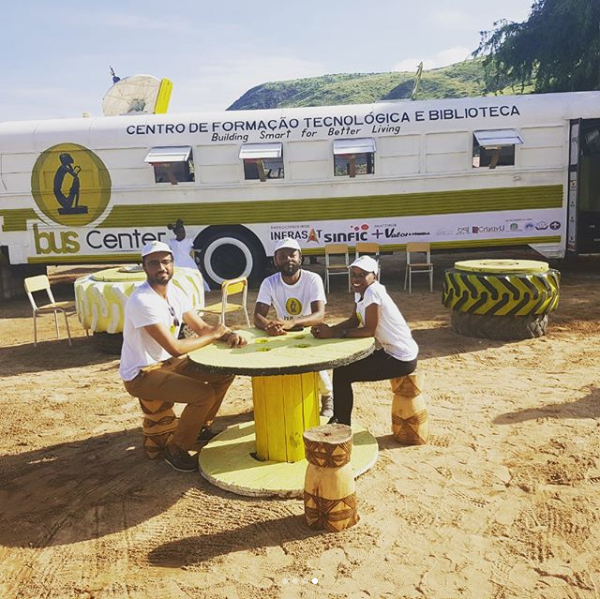 With Africa still lagging behind in STEM education, a team made up of 4 young Angolan in their early thirties; Alfredo Capitamolo, Emilia Dias, Helio Alves, Wilson Caposso is making use of what most will consider as waste resources to improve STEM education in the country with the aim of using the same resources to improve STEM education across the continent. 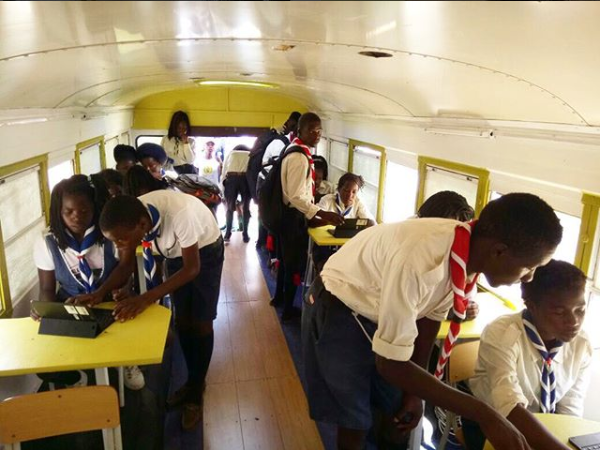 The project they named the “BusCenter” project make use of abandoned buses to provide an adequate facility for STEM education. They founded a company called WEAH Limited which is spearheading the BusCenter project. In this interview with the Team; Space in Africa found out the team members are even yet to meet each other physically. 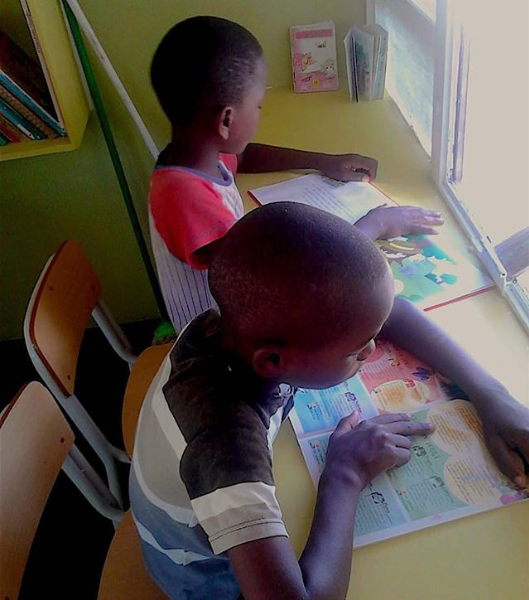 However, they have not allowed this to limit the great impact of their solutions in solving a major problem in Angola which according to UNESCO, has an adult literacy rate of 66.03% while the male literacy rate is 79.97%, for females is 53.41%, showing a big gap between the sexes. WEAH is an organisation birthed out of the need for change. That looks at underserved segments which can be turned into big opportunities, as a catalyst to create employment. An organisation that looks to build on the Smart Cities initiative but switch it up a notch to Smart living where we have impact not just in cities but also in rural areas. WEAH believes in the potential youth to boost economy and promote better living by working with both the public and private sectors, to ensure we have social development projects in place with services/products/solutions that directly positively impact our communities. Define the Buscenter. Where does the idea come from? The concept is not new around the continent and the world. We saw it as an opportunity to solve educational and health issues in Angola at a low cost with short implementation time. 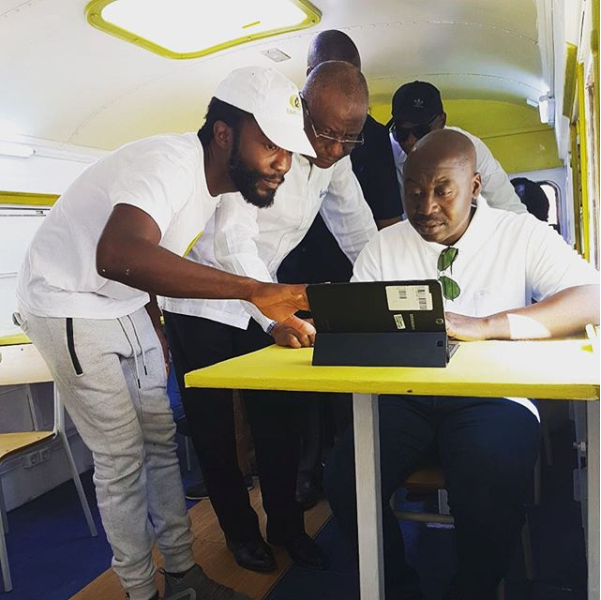 So, in search of bringing to rural communities innovative ways to solve issues on Education, Health, agriculture, and prepare young Angolans to this digital area, the BUSCENTER seemed to be an agile, cost effective solution that on top promotes sustainability. If embraced, it will bring light to those with almost no opportunity and ensure that Angolans and or Africans strive for better quality of living. 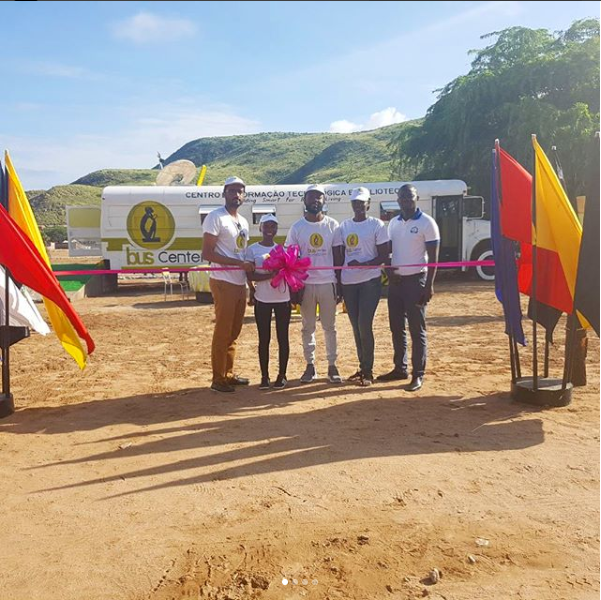 We looked at it as a means of tackling more than one issue, the BusCenter represents a catalyst for change, where we use buses that are no longer functional or suitable for transport use to empower local communities. We needed to bring in something different that did not need a permanent location, something that could be moved or even developed further. What problem are you try to solve? why? / What is the change or impact you want to see in the world and why? We are trying to bring about change to the way people live in both rural and urban areas, and help in tackling the ever increasing issues that hinder them from moving forward. Issues as the high number of children out of the educational system in Angola, the lack of hospitals/proper health care, and high unemployment rates. The first Buscenter is promote promoting digital literacy in rural areas, disseminate literacy throughout AO. The BusCenter concept was created to impact fundamentally 5 pillars: Education, Technology, Agriculture, Health, and Environment. Throughout the process we want make sure that data is analysed and decentralised (Accessible to everyone). WEAH’s core value is to build smart for better living. We believe that understanding data and collaborating with one another can help shape our communities, solve issue, and help implement a circular economy. What role does the BusCenter have on sustainability & impact? The BUSCENTER plays a key role in promoting social, economic, and environmental changes through the application of innovative and practical approaches to benefit society in general. We believe that using obsolete buses contributes in managing waste, the implementation solar grids helps with energy production and reducing governamental costs in rural areas, and implementation of softwares enable us to share best practices, data, and more efficiently teach people. Last but not at least, creating an operating system where BusCenters are only self-sustainable and functional if locals have an input helps understand its role on sustainability and social inclusion. Who are you currently partnering with on this project? How do they view the BUSCENTER in the country? We are currently partnering with Angolan based companies and institutions. However, we are open to get support from all over the world. BusCenter is currently receiving a lot of attention as it was designed to solve issues that are in the public eye. Government, universities, private institutions and individuals believed in the Project because they could see value in all facts above. I am sure that everyone see it as an opportunity to support change and make a better future for all. What is your Goal? How do you want to get there? what is your added value? We aim to help the local communities of Africa experience Smart Living no matter if they are in Rural or Urban Areas. We know the market first hand with a large number of contacts with society and government which allows us to bring in products/services that actually enhance and benefit lives rather than the usual mill of the market. We add value by being the bridge between and by taking education and infrastructure to places where they are not available, or there is no private or Governmental investment of such. What does the WEAH get from the BusCenter? 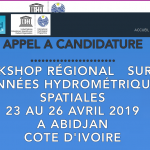 WEAH gets an opportunity introduce the concept of SMART LIVING and cooperate respectively with companies from private and public Sector. More importantly, the BusCenter allows us to give back to the communities and further social impact. How important do you think this project in the country? We believe it is extremely important as it is being used to target many of the issues that are prevalent in the country. 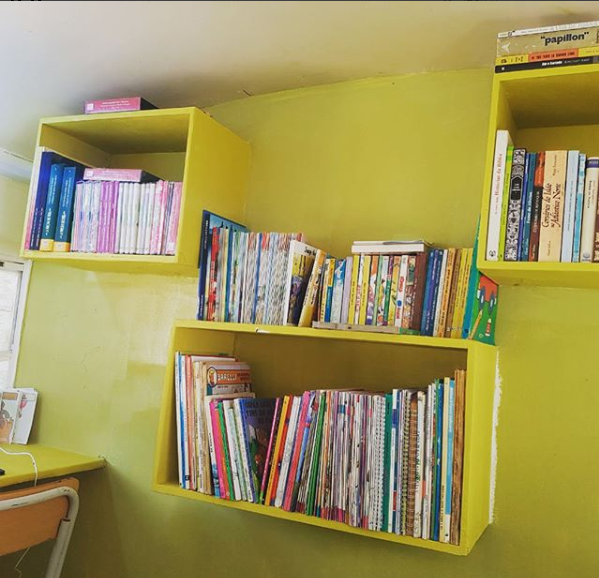 Rather than people going far to look for services that provides the basic necessity to enrich one’s life, we are bringing them solutions in a BusCenter that can be at their doorstep. We see the BusCenter as a stepping stone in improving our economy, handing responsibility to the people throughout the country, and assisting people from rural areas to become productive citizens. All the different BusCenter will strive to have an impact on our communities. Where do you see the BUSCENTER project 5 Years from now? We see the project being implemented in all the provinces across Angola, bringing about immense change. We hope that enrolled students strive to create innovative solutions in their communities. What do you think is the role of STEAM in continental development? In an effort to ensure Africans are better prepared for the digital era, have every academic advantage necessary to excel and be successful citizens, we think there have to be efforts in disseminating programs that are focused on STEAM. One thing we need to remember is that STEAM education is nothing new. However, it’s the way that is it can be taught that has changed. Technology through the new digital revolution has brought about a new way of seeing things and this in effect has changed the way one looks at STEAM. We believe STEAM is important to the development of Africa as a continent in bringing about competition and allow us to stand shoulder to shoulder with the rest of the world. The BusCenter is an example of how we are trying to disrupt the usual or traditional way of teaching and brining in a digital link STEAM ed. using both tried and tested methods to new and innovative methods to bring about change. Are you planning on expanding to other regions? Yes, the BusCenter expansion is not important just for Angola, but Africa as a whole. It can play a key role in preparing young African minds. This goes beyond technology, it is about making sure people/companies cooperate with one another and share their best practices to empower local communities. With that being said, we will be delighted to work companies/Govs willing to bring the BusCenter to their communities. If you had one piece of advice for your kids in RURAL area registered in the BusCentre, what would it be? Changes start from within and one must make the most of opportunities at our disposal. 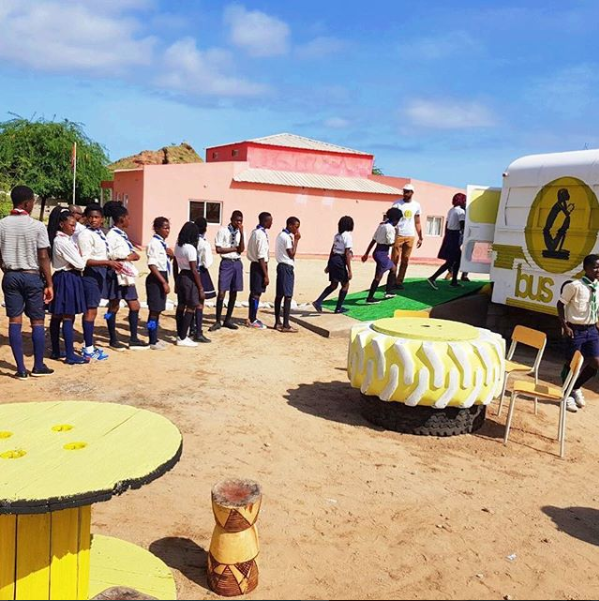 Taking one step at a time on our BusCenter allows you to take a hold of your future and be at on the driving seat of bringing about change in your community, your country, the continent and the world. Don’t be afraid to dream. Were there any women involved in the project? What impact do think women can have in Angola’s going forward? Yes, we are fortunate to have women involved at every level of the project and at the forefront of making change throughout their communities. Women involvement in leadership position and innovative projects contribute more towards a more equality society. Gender diversity brings a higher volume of perspective to the table, which leads to a higher group-knowledge and more creativity, in addition to helping fighting discrimination. Having leading women in important roles is strategic in moving to a new phase in governance, allowing organizations to be more effective in performing and problem solving. When we look at the likes of Rwanda that has 64% of the countries parliamentary members as women that are adding value to the leadership of the country there must be a reason why it is one of Africa’s fastest growing economies. What is the best organizational model for your project? Our project takes on the model of Community focus and Ownership, and Partnership. We decided to structure ourselves based on these two as we believe that successful projects of this nature are built on the needs of the people around them. By encouraging community ownership, we are hoping to build an environment where they feel responsible for the BusCenters, which will hopefully encourage them to be invested in the both the success and the effectiveness of the BusCenter. The partnership model we are making use of is to also bring about an effective and efficient project, in that most successful projects are built on partnership with not just the civil society but institutions and governments. With this in mind, we are partnering and open to further collaboration with individuals and bodies to share best practice, information, funding mechanisms and ideas to ensure that this project continues to bring about positive change. What is the innovation you want to bring to the BusCenter project? Like they say, there is nothing new under the sun, we are combining various solutions into a small space that makes us of technology and sustainable energy to bring about change. We are providing a platform for innovation by encouraging not just new methods of solution usage within these areas but allowing the transfer of skills from one place to another. There are many traditional methods of doing things that can be tweaked to bring about more innovation to both urban and rural areas, we are helping to connect those dots of innovation. Who gains from the BusCenter?